Hi! My name is Kami, and I'm a 22 year old aspiring children's book author. I go to college full time in New York and I am currently majoring in Art. I expect to graduate by 2017! I created this portfolio so that anyone can view my goals and accomplishments here on Neo. 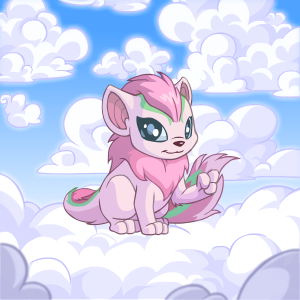 You can find me more often than not on the Pound or Avatar chats, where I am often trying to collect more avatars, trade up for dream pets, and talking to others. 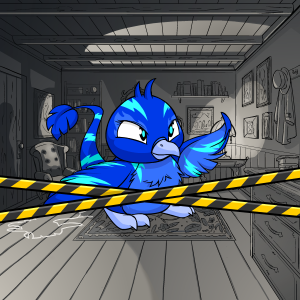 I really enjoy account building and attempting to restock items for my baby gallery. ♥ 10/7/16 ♥ Updated the portfolio. Have been taking a break due to college classes starting up but I'm finally back on more. ♥ 8/18/16 ♥ Yay, it's my birthday! ♥ 5/2/16 ♥ Made my first ever portfolio. Currently not trading at the moment! ♥ Nymphiera ♥ Nymphs are female spirits of the natural world, minor goddesses of the forests, rivers, springs, meadows, mountains and seas. Each nymph is responsible for the crafting and upkeeping of one of nature's beauties. One kind of nymph is the Anthousai, or nymph of the flower. Anthousai are said to have hair that resembles hyacinths. They are kind, naive, carefree spirits; often dancing, weaving flowers together into garments, and curiously watching mortals from afar. ♥ Miuko ♥ (Working on NC outfit) Miuko is a Kitsune. Foxes are a common subject of Japanese folklore; in English, kitsune refers to them in this context. Kitsune are believed to possess superior intelligence, long life, and magical powers. They are a type of yōkai, or spiritual entity, and the word kitsune is often translated as fox spirit. However, this does not mean that kitsune are ghosts, nor that they are fundamentally different from regular foxes. Because the word spirit is used to reflect a state of knowledge or enlightenment, all long-lived foxes gain supernatural abilities. 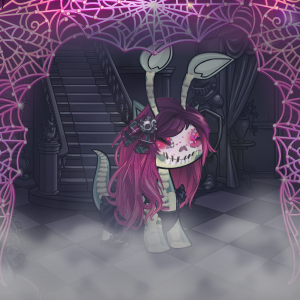 ♥ Skeletein ♥ (Working on character/plot) An aparition is a supernatural appearance of a person or thing, especially a ghost; a specter or phantom; wraith. An apparition or ghost is the soul or spirit of a deceased person or animal that can appear to the living. Descriptions of ghosts vary widely from an invisible presence to translucent or barely visible wispy shapes, to realistic, lifelike visions. Another widespread belief concerning ghosts is that they are composed of a misty, airy, or subtle material. ♥ Ryotaro ♥ (Currently being zapped! Current goal: Brown Lupe) Ryotaro Dojima is a character from Persona 4. Dojima works as a police detective in Yasoinaba, and is helped by his assistant Tohru Adachi. He is a hard working detective. While he cares about his daughter, Nanako, he has severe problems in being a father for her as she constantly reminds him of his deceased wife, Chisato. In addition, his line of work means that he's almost always busy, leaving her alone often. Thank you for viewing my portfolio, and to all of my friends and random kind Neopians for helping me and supporting me with my goals.